If someone at this table lit their napkin on fire would the others notice? Depends. Can they put it on Snapchat? According to OfCom’s most recent Communications Market report, in addition to talking and texting, Americans use cell phones for banking, shopping, ordering food, entertainment, and travel. In fact, the average person spends about four hours of time on their cell phone every day. The problem, according to Douglas Gentile, a child psychologist and associate professor at Iowa State University, is one of making a person-to-person connection. Parents, many of whom spent endless hours watching rerun sitcoms on tv screens as children, are now struggling to connect with their children, who would rather look at words on a screen than have a conversation. 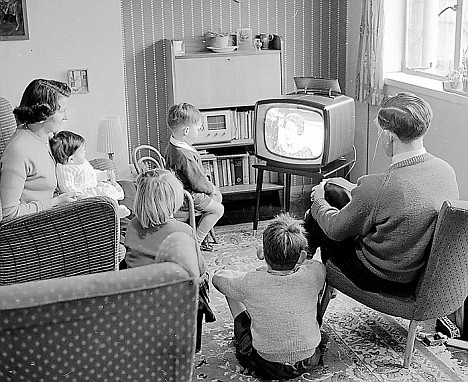 Families who grew up watching TV still talked to one another. How is one screen different than the other? A cell phone is a singular experience while watching television can be a shared activity. Gentile says of texting or other forms of cell phone social interaction, "it's a private experience. It's like they're whispering secrets. And we find it rude." Eschewing personal engagement over media engagement, far from being limited to teenagers, has become a problem for almost everyone. People who are spending time with others take calls on their cell phone and chat with their friends. Look at their messages and social media accounts and laugh at a private joke. Become five-star generals in games of battle or farmers feeding the pigs. Meanwhile, the person who is sitting across from them is left out. While many of us have come to tolerate this as a norm, done often enough, it becomes distracting, hurtful, or annoying. The timing of cell phone usage is also problematic. As one would expect, most of this activity occurs during ‘prime time,' the evening hours when families are home or people are spending time with friends. Assuming one returns home from work at 5 PM and goes to bed at 10 PM, if the bulk of their four hours is spent on their screen, that leaves very little time to engage anyone. The secret to having a screen in front of you is to continue to engage the people who are with you, as Uhura illustrates with the first iPad-type device. An iPhone is your window on the world. It offers extraordinary opportunities for connection, convenience, and information. It takes a little effort to achieve a balance between enjoying the things it provides and still enjoying the people around us, but it the end, the endeavor is worthwhile. If you need a new iPhone screen and live in the Phoenix, Tempe, or Scottsdale area, order a repair on our website here or call iPhone Screen Repair Plus at 480-781-0060.